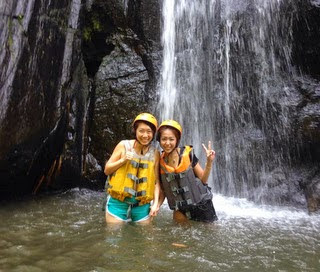 Bali river rafting has grown from tens of years ago as the great tourist attraction and adventure. 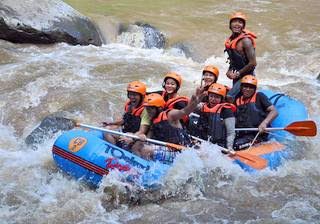 Telaga Waja river and Ayung River in Bali are the two which is known as a tourist rafting or white water rafting Bali. Try the perennial favorite in your adrenalin for Bali rafting adventure together. Ayung River located in the village of Ubud offers the river rafting along the Ayung river which is still very natural. Throughout rafting down the Ayung you will find some rapids, waterfalls, and the longest cliff carvings in Bali at the moment the work of Ubud artists who tells epos Ramayana. Ubud provides an unforgettable experience during vacation in Bali. 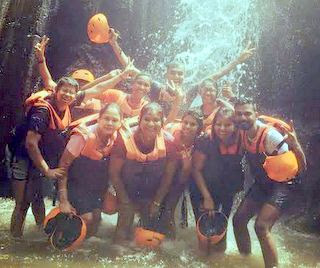 Bali Land Tours working with one of the river rafting company which operated in Ayung River offers rafting in Bali special packages, Rafting Packages are shot in the Ubud area, and White-water rafting / rafting his dive lasted approximately 2 hours. In this location is perfect for the beginners because not a lot of difficulties experienced during the rafting, located in the region in addition to "tour" of the famous Ubud. Telaga Waja River rafting is the most challenging rafting today on the island of Bali. Telaga Waja river rafting located in the eastern part of Bali island precisely located in the Village Muncan, karangasem, about 1.5 to 2 hours drive from the kuta. Telaga waja rating has a very beautiful and very beautiful, often rice terrace views of the lake is the mascot for rafting waja . Telaga Waja famous is famous with clear water and rapids great in Telaga waja rafting for the real challenge adventure. Bali rafting this one has an approximately 15 kilometer long with a distance of about 2.5 hours will bring you a true adventurer. During the rafting trip on the Telaga Waja Bali rafting you will be able to rest once in the mid to take picture and rapids as high as 5 meters that will test your guts, but you should not worry because they have the experienced instructor who will accompany you. Besides, we also have up and down stairs is the shortest compared to other providers rafting Telaga Waja, as well as a very strategic place restaurant in the rice field terraces with views of majestic mountains and often exquisite lunch will make you more comfortable atmosphere.